That makes it exactly 23 years that he is behind the desk and makes us sweat. Appreciated for his technique and for his ability to mix groove and experimentation, he is one of the greatest exponents of quality electronic music “MADE In ITALY”, beloved and respected both inside and outside Italy. He is the ELECTRO/Techno master from Rome. Technic, scratch and eclecticism: these are the words to describe Max Durante, veteran DJ and music producer of the Italian electronic music scene. He is one of the most highly appreciated Italian djs. Respected for his mixing-technic. His first impact with electronic music was in the 80’s with the Kraftwerk’s music. Electro was Max’s first passion, this was his first step into the music. Hip hop/electro was important in his dj experience, in the 1985’s he started scratching and cutting, and this has influenced his way of mixing today as a good turntablist too. Considered one of the best European electronic dj, his dj sets are brilliant, and for this reason he has been named “the wizard of the decks”!!! He started his dj profession after his radio experience in 1986 in a private local radio in Rome. From 1987 he began to work in clubs, mixing ELECTRO and underground music, in the 88/89’s, especially acid house (another old passion of Max) and electro/ freestyle of Brooklyn. From 1987 to 1990, he worked in particular in clubs in Rome: Histerya, Mithos, Bolido’ (Black Out), Luxuria, Nisida (this was his first club, he was the resident DJ in 1987). From 1991 he dedicated himself completely to big parties (RAVE) mixing good technogroove ( UR / Plus 8 ). “his hands are so fast that it is difficult to follow his movements, his scratches are balm for the eyes and for the ears”. In 2000, the Italian music fanzine Orbeat, described his performance at the festival Distorsonie 2000 @ Link in Bologna: “his dj set with 3 turntables was amazing, keeping the crowd till 6.30 clapping all the time”. In 2001 With Anthony Rother he has co-produced a electro record (NETZWERK EUROPA) on the PSI49NET that has become a cult record of this label. In 2002 THE WIRE “the English magazine of avant-garde” named him the most interesting DJ in Europe and the best artist during the BIOS festival in Athens (Greece). In 2002 he co-produced with Dj Hell some new tracks of the Legendary 80’s group “Tuxedomoon”, one called “Lether Bliss” was released on “Gigolo Compilation 6” and on the SonarFestival compilation. In 2002 under the nickname SIRIAD he co-produce with Alexander Robotnick 5 tracks for the Lp OH NO ROBOTNICK. International DJ’s, such as LAURENT GARNIER, ROLANDO, TIGA, THE HACKER, have simply defined this record as a marvelous record to have. With this record he has obtained such a great success that he was invited to play in the legendary FABRIC club in London, where they still talk of his redhot session Summer 2003 he remixed an old track ( 1980 ) “Mosku Esta Helado” of legendary spanish band Esplendor Geometrico, released in the 2004 on Spanish labels: Geometric rec. the cd and on Starwhores rec. the vinyl. On July 2006 he released “High Heel Shoes” a nasty Lp on legendary label “Some Bizzare Ltd.” under the name of MEKA ( from ‘mechanical’ and the Japanese anime culture of super robots called ‘Mecha’ ). Some Bizzare is the seminal label set up in 1981 by Stevo Pearce that has brought the world some of the best selling pop music as well as incredibly inventive and unique industrial and dance tracks of the era. From Depeche Mode, Soft Cell and The The to Einsturzende Neubauten and Cabaret Voltaire. In 2009 his tracks ATLANTIDE from his techno ep “we come from the past vol. 1” (analog dust netlabel) and K1 theme (max durante’s Re-costruction mix) from his electro ep “beat rocket vol. 1” (prodamkey netlabel) was well received from the electronic community. Many DJs and RADIO show played this tracks, DAVE CLARKE played several times this tracks on his RADIO show and during his sets. MAX DURANTE is the best Italian electro/techno DJ/producer, he is the true ELECTRO pioneer since the 80’s and one of the creators of the true italian techno, he is one of the hinges of the 90’s, of the rave generation, he is a myth of the 90’s. He has performed in the best Italian RAVE from 1990 to 1994. 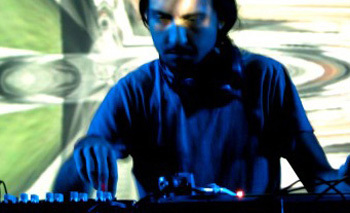 His sound and his presence have been fundamental for the Italian electro/techno scene. He has regularly played in the best clubs and in the best European festivals since 1992. His shows are famous in Europe and thanks to his technique and to his performances, the press has named him: “THE WIZARD OF THE DECKS” the magician of the console.